What are the taxes and tax limits? 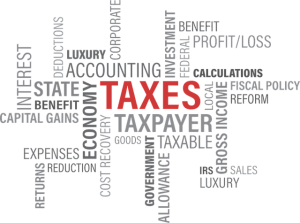 Do I pay tax when I sell my house? Am I eligible for any tax deductions? And the most important question of all: Am I doing this right? While taxes on selling a hosue can be a very complex issue, we’ll lay out the basic principles. We’ll also include some important things you need to know, regarding taxes on selling a house. Most of the time, the profit from selling your house is tax-free and does not need to be reported. If you lived on your own in the same place for two to five years prior to the sale, $250,000 of your profit is tax-free. Couples who file joint tax returns and live there for that same amount of time are eligible for $500,000 of their profits to be written off as tax-free. Anything greater than that $250,000 or $500,000 threshold is reported as a capital gain on your taxes. The three major points to take away from the above facts regarding taxes on selling a house are that you need to have owned the house for at least two full years, the home you are selling is your primary residence, and you have not received but excluded a gain on another home in the last two years. It also doesn’t matter if you sell your house in the best month of the market, or the worst month of the market; your tax rates will depend on the value of the house, and not on the time of the sale. It is important to understand this when you are considering the taxes on selling a home. Not all moving cases are cookie cutter, and the IRS knows that. This makes answering the question “Do you pay taxes when you sell a house?” even that much more complicated. There are a number of qualifications that may make you eligible for different benefits. If you are divorced, widowed, have had short term absences during your period of residence, or are a member of the military, intelligence, or foreign services, there are different requirements and classifications. It is therefore best to check with your realtor or accountant when you file taxes on selling your home. The requirements for capital gains reporting, as well, can seemed very muddled, as there are many different categories that determine whether you must report your capital gains on your next tax return. This is a critical issue on which you should consult with a real estate tax professional before filing your tax returns in the following year. 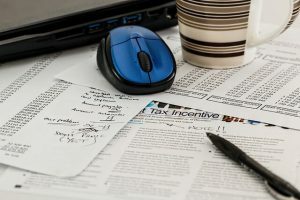 A real estate tax professional can help you fully and thoroughly answer your question: Do I pay tax when I sell my house? When it comes to filing taxes, according to TaxAct, be prepared to be presented with the form 1099-S, usually handed out by real estate industry professionals. You will need to fill that out to report the sale of your home, even if you do not need to pay taxes on the gain. You will also need to fill out Form 8822, to register your change of address with the IRS. There are a lot of complicated tax issues when it comes to selling your house. 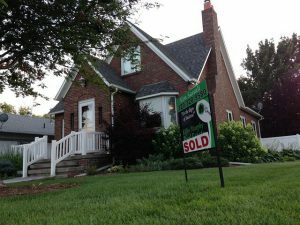 When looking for the answer to “Do you pay taxes when you sell a house?”, you should also look for a qualified team to work with that will make the process smooth and made easier for you, the homeowner, because the goal of any successful real estate transaction is for both the buyer and the seller to leave satisfied. At SetSchedule, our experts are ready to help. Our realtors are familiar with the entire process of selling houses from beginning to end, and will be able to sort out the tax details in order to make the process less stressful for you. With their advanced technology, SetSchedule is revolutionizing the process of selling homes fast. Working with their team will guarantee you a smooth transition to wherever your next move takes you. Valid considerations for home sellers to consider. I had no idea that you do not need to report the profits you get from selling a house. It is important to remember that understanding all you can about how the house selling process works can help you get the best prices you can find. A friend of mine was talking about how he wanted to sell his old house for cash, do you know if doing it this way works the same?